Bertsch Leisure : 500 x 650 The Bertsch Leisure Log Cabins 500 x 650 features a Living area of 32m² divided by interior walls. The interior configuration would make these Log Cabins the perfect Pool-house, Garden Office, Temporary Guest Accommodation etc. and includes a mezzanine floor area. With Double Doors a Single Door and five windows. There is a separate single door to the side of the building. 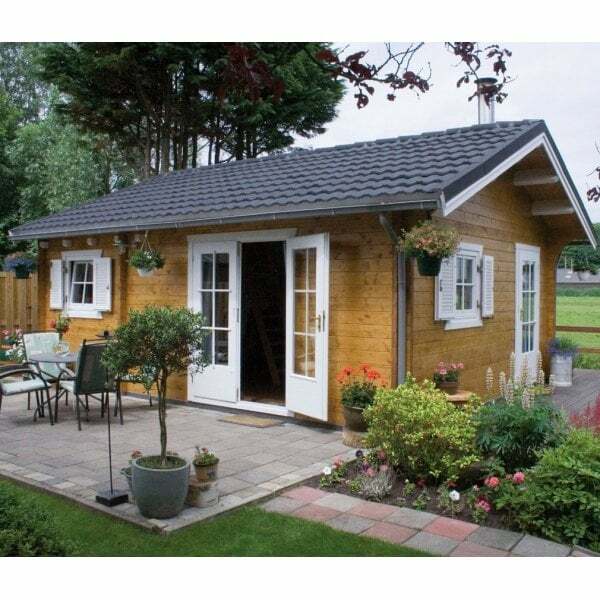 This cabin would be ideal as a pool house or garden house.All Bertsch Log cabins are made to order so if you would like this building but modified - please contact us. In common with all of our cabins the Kitchen and accessories show in image are NOT included.